We believe that happy teams do great things. Unfortunately 61% of the UK’s workforce is disengaged. This muddle of absence, employee turnover and retraining costs UK businesses a whopping £340bn a year. And it bugs us. 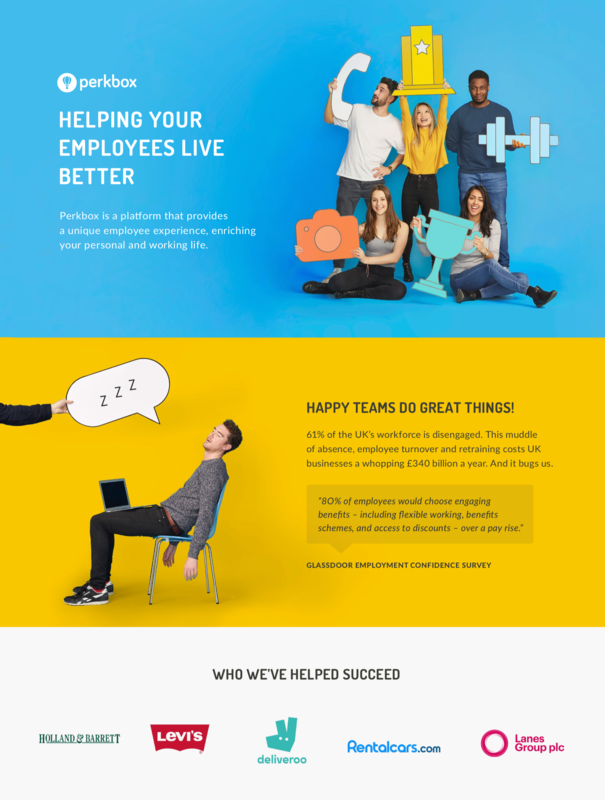 Find out how Perkbox helps thousands of businesses attract and lock in their very best talent, while building happier company cultures. Download your product by clicking the button below.